If the purse of your dreams is a bit too pricey for your budget, knockoff handbags can be a mixed blessing. They can put a similar style within your reach, but they can also leave you sorely disappointed if you mistakenly acquire a counterfeit product. Legal knockoffs, also called designer replica handbags, allow you to own the latest handbag looks for a fraction of the price. An easy way to tell if you've purchased a legal knockoff is where you buy it from. Most well-known stores, regardless if they're discount retailers, sell legally acceptable, designer-inspired versions of the most popular styles within the marketplace. These styles are meant to mimic the famous looks of designers like Prada, Kate Spade, and many others without ever claiming to be the genuine article The more well-known the store, the better the chances are that you're buying a legal version and not a blatant black market rip-off. 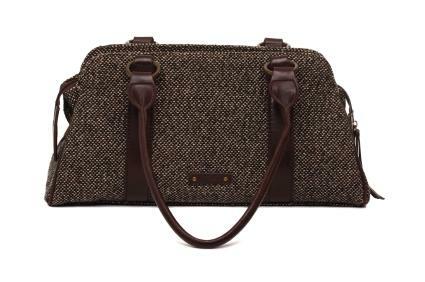 Macy's offers a large selection of some of the hottest designer-inspired handbags. Target sells discount legal knockoffs, with newly stocked styled regularly. Marshall's: Here you can often find an equal mix of designer handbags and knockoffs, however getting there early dictates the variety available. T.J. Maxx: A sister store to Marshall's, the pickings here are mostly the same. Forever 21: For younger women or those who love trendy bags, the legal replicas here are plentiful and stylish. They also complement the store's clothing quite well. H&M: Everything in this retail giant looks expensive, but it's really not, including the handbags. eBay is a great place to find vintage and discounted handbag styles, as well as inspired-by bags. However, be very careful to evaluate both the seller and the merchandise to ensure you are not getting an illegal replica. 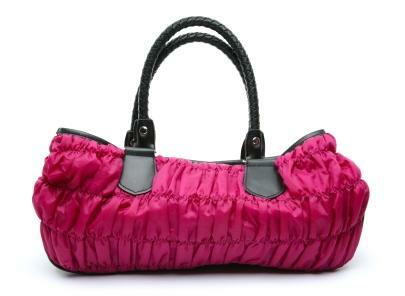 Handbags at Wholesale sells wholesale knockoffs at a fraction of the price of an original. Fashion Heaven has a constantly updated inventory and variety of styles, make this an ideal spot for designer-inspired handbag lovers. Buying designer-inspired handbags can be especially tricky. If you're buying directly from the manufacturer or a well-known retailer, then you're able to buy the products directly from the store with convenience. However, less-scrupulous online sellers can take advantage of the fact that you never see the handbags before you purchase them. Otherwise savvy buyers who would stay far away from a vinyl bag with poorly-stitched seams at a local market won't realize the problem until they've already paid. You should pay for all online purchases with a credit card, so you can initiate a chargeback if you receive counterfeit merchandise. Be particularly wary of sellers outside of the United States, as you will have even less recourse if you receive a knockoff handbag. Be aware that the extended shipping time of a purchase outside the US may also put you outside the timeframe for lodging a complaint or asking for a refund. Go with your first instinct. If you feel that the handbag is inauthentic due to a disheveled appearance, don't buy it. Pay attention to details. Even the smallest imperfection can mean the difference between a legal knockoff and a counterfeit bag. The best thing to do is study the original thoroughly, then apply those specifics to your purchase. Some of the more well-researched fashionistas may be able to tell your legal knockoff from a designer original, but most people won't even know the difference. As a result of buying a designer-inspired style, you'll not only save yourself quite a bit of money, but also feel little guilt if it goes out of style in a few months. Stay stylish on the budget that fits you knowing where and how to buy an inspired-by bag.